A combination of imaging and mathematics can help identify if aggressive treatment is needed when a woman has been diagnosed with early stage breast cancer. The new technology – biomarker ratio imaging microscopy, or BRIM – can identify aggressive forms of ductal carcinoma in situ (DCIS), or stage 0 breast cancer, from non-aggressive varieties, according to researchers at the University of Michigan. The research was prompted by the dilemmas: will the non-invasive cancer become invasive, or is it a slow-growing variety that will likely never be harmful? Howard R. Petty, Ph.D., professor of ophthalmology and visual sciences and of microbiology and immunology explained that, understandably, a patient with DCIS is typically treated as if she has invasive disease. “When women hear breast cancer, they’re petrified. And physicians are keenly concerned about outcomes as well,” said the study author. Petty said that BRIM combines traditional pathology techniques and fuses it with mathematical analysis to determine the relative levels of certain biomarkers in a tumour. He and co-author Andrea J. Clark looked at biopsy samples from 23 patients with DCIS and used fluorescence imaging, in which tumours are stained a different colour to identify key biomarkers. The stained samples were then entered into a computer programme that determines the ratio of biomarker in each pixel. Some biomarkers are highly expressed in cancer; others have very low expression. With BRIM, researchers take the ratio of expression. This means high and low do not cancel each other out, but rather combine to form an image of improved contrast. Using this technique, researchers could separate the DCIS patient samples into those with a lot of cancer stem cells -- which are highly aggressive -- and those that resembled benign tumours. They found 22 percent of the samples had low scores suggestive of very slow-growing, non-aggressive disease. “This approach is going to be a new and powerful one. It works because we’re looking at it mathematically,” Petty explained in the results published in the Nature journal Scientific Reports. 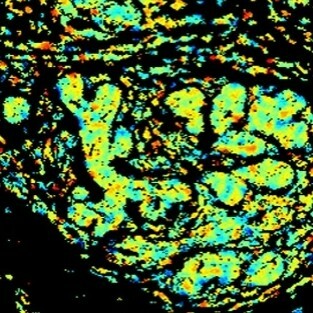 Researchers resurrected the technique of ratio imaging microscopy that was used in the 1990s to look at calcium signals and applied it using antibodies and biomarkers. The researchers suggest that another advantage to BRIM is that it combines multiple biomarkers, rather than relying on a single marker. Rates of DCIS have increased ever since screening mammography became common and some experts believe that DCIS can develop into invasive breast cancer, a theory that has not yet been proven. Currently, there is not a way to stratify the disease based on aggressiveness. 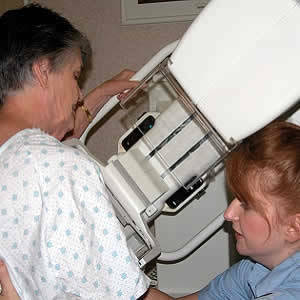 The University of Michigan researchers also suggest that in addition to preventing overtreatment, BRIM could further be used to help more broadly with breast cancer treatment decisions, while they are also considering expanding their work to other forms of cancer by planning to conduct a large retrospective study correlating BRIM scores to patient outcomes.